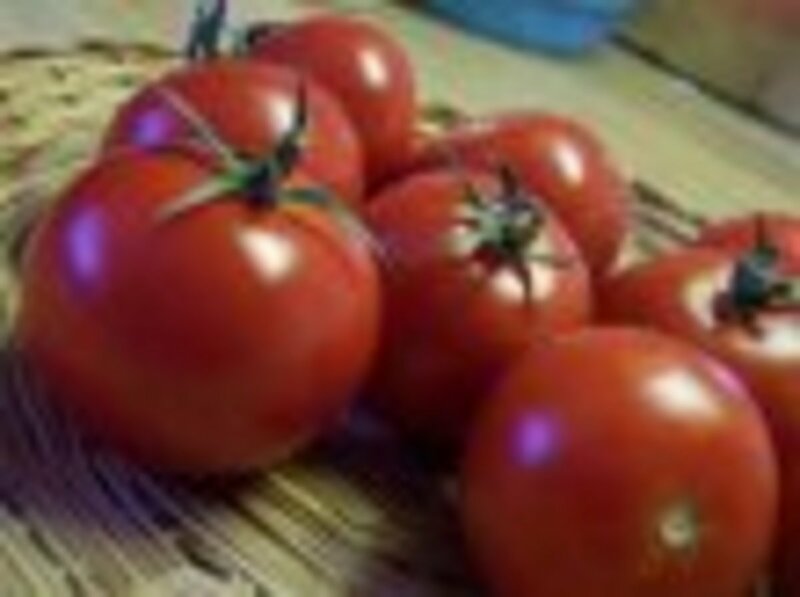 As far as Heirloom recipes go, I have two. Having been born in Hungary coincidentally "Hungarian Goulash" is my all time favorite "soothing the soul" dish. So I decided to share it first. Dad's Moms side of the family can be traced back to an orchard property in the northwest of Hungary. (I think I have just the right amount of 'greats') Great-great-great-great-granddad Adalbert bought it in 1806. This recipe supposedly goes back to his second wife Ilonka. And according to Grandma (Dad's Mom) has a funny story attached to it. Ilonka became the second wife, when she wasn't twenty yet. She replaced a formidable 'perfect' in everything housewife who had died in childbirth. Ilonka was trying her best to please her new husband. Everyday she nervously awaited his approval of the dishes she set in front of him. He, being a miserable so & so always complained that it just didn't taste as good and not quite the same as what he'd been used to. 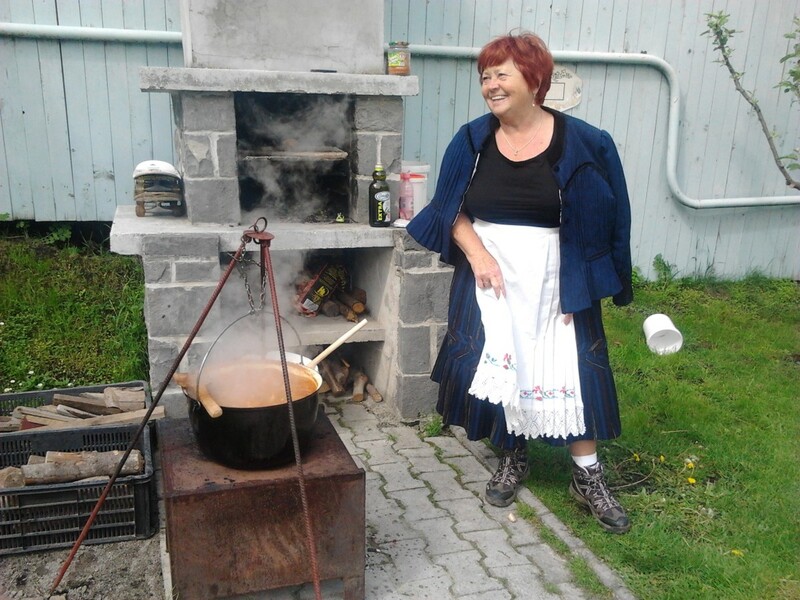 A year or so later Ilonka accidentally burned the Goulash, there was not enough time to make anything else before her husband came home from working hard in the orchard. In total despair she worriedly dished out the dinner. No matter how much she had tried to spice things up the burnt flavor was throughout the whole pots-worth. After month and month of perfectly cooked meals, none had gained his praise. Totally expecting him to yell and complain. She got the surprise of her life, when he shouted that it was about time she had learned how to cook, this was the first decently tasting meal she had put in front of him. (In my opinion this would probably have been soothing salve for Ilonka, the perfectly perfect first wife had flaws after all). Great-great-great-great-granddad Adalbert died at an early age leaving her to raise his son. Ilonka supposedly had become a force to reckon with as she worked the Orchard and raised the son on her own. She also gained a reputation of being a fabulous cook. "Having the ability to make gourmet meals with only a cup of water, salted sows ears, a tail and paprika". (Grandma's funny saying translated from Hungarian). Don't worry the following recipe does not need to be burned. Neither does it follow the original Hungarian Goulash which goes back to the time of the Huns. It was a meal that was a cross of stew and thick chuncky soup. The herdsman in charge of the sheep would set up his cooking pot over the coals in the firepit in the morning. Throw in a variety of meatcuts, mostly lamb or mutton and vegetables if they were available and the goulash would simmer pretty near all day. And be ready for the evening meal. The best Hungarian Goulash recipe ever! The only thing this recipe still has in common with the old herdsman's type of goulash is that this is a meal that resembles a cross between chunky soup and stew. This recipe will generously feed anywhere from six to eight people especially if served with thick slices of home made sour dough bread. Sauté onions in oil until golden brown; remove from heat; add paprika, give it a quick stir and quickly add a cup of water (the paprika flavor will get bitter if not diluted with water fast). Now add spices and remaining ingredients add enough water to cover all. 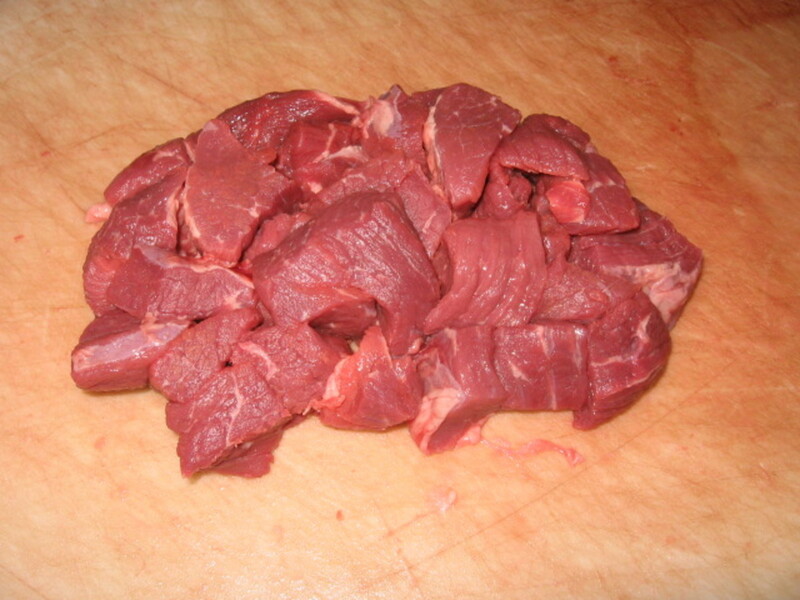 Set over med-low heat and simmer until meat is tender (timing depends on the type of meat-cuts used). Once the meat is cooked tender and if you're looking for a thicker stew, combine 2 tbsps of cornstarch with 1/2 cup of water. Slowly add cornstarch wash while stirring. Adjust spices and serve with thick chunks of fresh bread baguette. 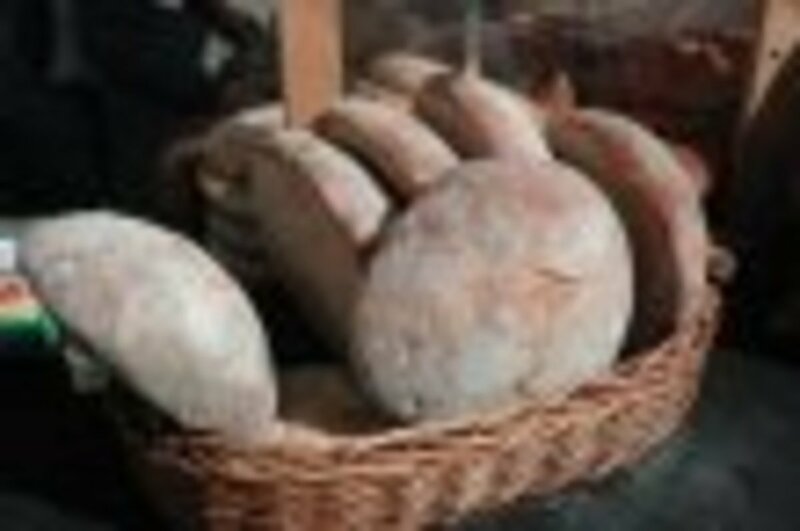 Traditionally sourdough rye bread is the perfect accompaniment. This recipe works out perfect in a slow-cooker. 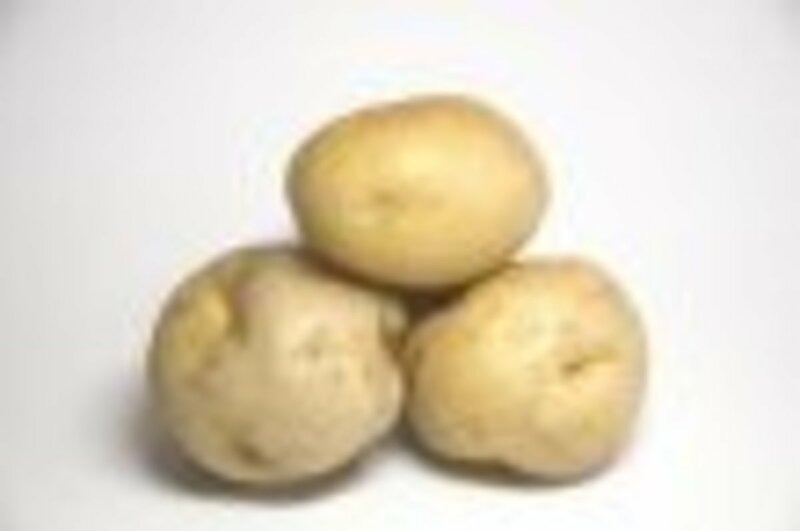 I love to use new crop small baby potatoes scrubbed and whole. Thank you for reading and commenting Arachnea. Here in my neck of the woods we're coming into the "need warm soul food" season and the goulash is usually the first one on the list in my family. I have made this recipe over the years with lamb and mutton and I liked it but my gang prefers the recipe with beef. A fresh baguette is almost a must have ... to sop up the juice... just so you don't miss a drop. Let me know how you like the goulash. This is a great hub. I've got to try the recipe. When I was a legal courier in San Diego, a Hungarian restaurant opened down the street. Their specialty was goulash. They made a chicken goulash which was to die for. I wonder how this would work with lamb? A nice baguette as suggested above sounds perfect to top this off. There are sooooo many Hungarian Goulash recipes out there, probably all tasty. This is the one my children and their families love and will keep making mainly because it was passed down through the family. Thank You! I have been looking for true Hungarian Goulash but all the recipes don't have potatoes and I thought true Goulash had potatoes in it. Alexandra, thank you for taking a look and for commenting. Hope the dinner party turned out okay and that everyone enjoyed your food. I have most of my family coming for dinner tomorrow night to meet my eldest son's girlfriend (we think this is the one by the way he talks about her) & i'm going to make your beautiful sounding goulash. Am really looking forward to it, and love the story from your family. Thank you for sharing with us. Do you have any other recipes? and where do i go to read them? I will let you know how it goes tomorrow, but i am sure you already know. Hiya Sue, my recipe is as the name explaines an old heritage recipe. I love to make it, and my family loves to eat it. There is no way that I could or would stop making Ilonkas recipe. My mum taught me a much simpler version of Hungarian Goulash. She always insists: "Real Hungarian Goulash only has three main ingredients: Onions, meat, and paprika." 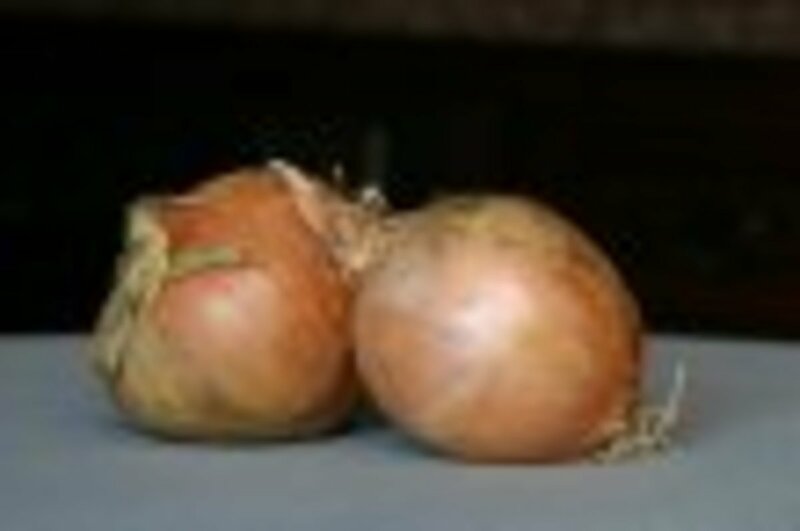 Use equal amounts of onions and meat. Fry until meat crisp on all sides (like you said, almost burned), add the paprika, a little sugar and a little water. While gradually adding water to keep it thick,(no need for cornflower)simmer until meat is tender. 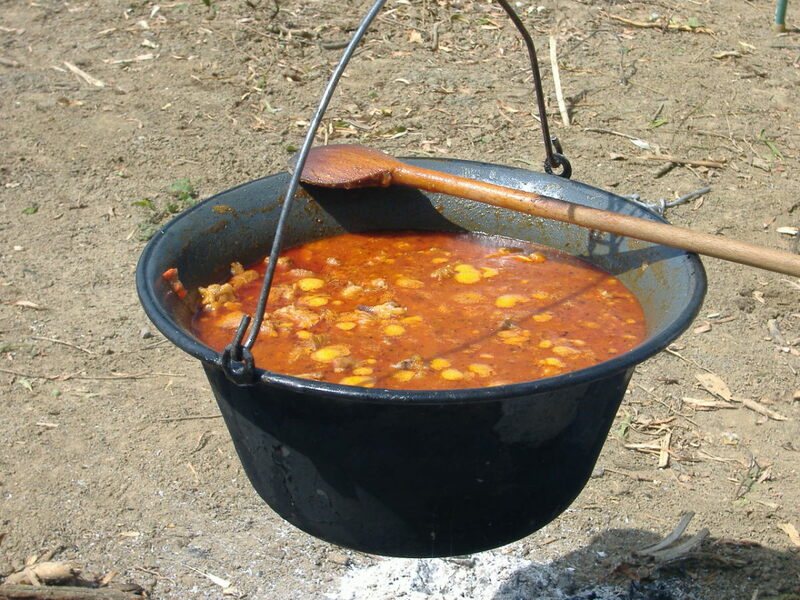 The actual taste of Goulash comes from what you scrape off the bottom of a cast iron pan while occasionally stirring and adding a little water at a time to stop it burning. Serve on boiled potatoes (krumpli) and top up with sour cream, with fresh mixed salad on the side. 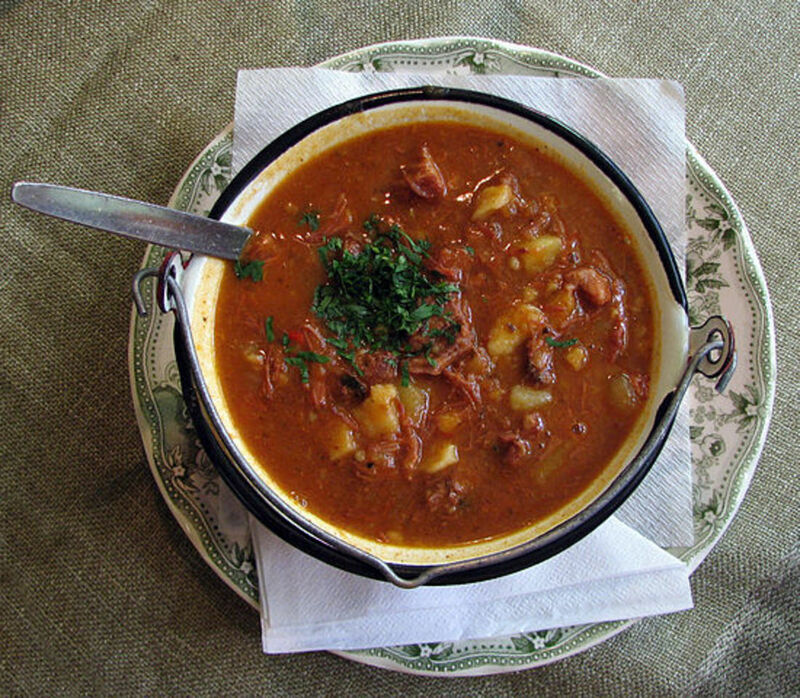 Tip: Hungarian Goulash always tastes even better when re-heated the next day. Maybe your ancestors were more sophisticated than mine? My daughter who is always sooo busy always uses her slowcooker. Shw just loads all the ingredients into her slowcooker turns it on and comes home to a perfectly cooked meal. Good luck with your new slowcooker. Would anyone know how you would cook this recipe differently if you were using a slow cooker? It is my first time using it so I don't want to over-cook, or add anything to late/early. rjsadowski, galuska? Are those the really small dried noodles (lentil size)? Originaly the recipe also had caraway seed in it which I don't like and therefore dropped off the recipe. An interesting variation. I don't ever recall seeing celery or celery seed in Hungarian gulyas, but of course, every region of Hungary has its own variation. I like to make mine with little homemade dumplings called galuska. Nrnotables@comcast.net, every family has its own version of a recipe. My Mom used to add a pinch of caraway seeds, and a bay leaf but Ilonka did not. As I do not like either I stick with the original recipe. I make the recipe as I wrote it down in my slow cooker. In my opinion the recipe is perfect but then you can make whatever adjustments work for your family. loves2cook, thank you for taking a look and for commenting. Over the cold months I have the slow cooker on the go regularly and the Goulash is on the menu often. Agreed, this looks like a perfect slow cooker recipe! Thank you for sharing the story with it, too. I love it when recipes and foods become a piece of our history instead of merely ingredients mixed together to form something tasty. Pamela thank you for taking a look and for commenting. 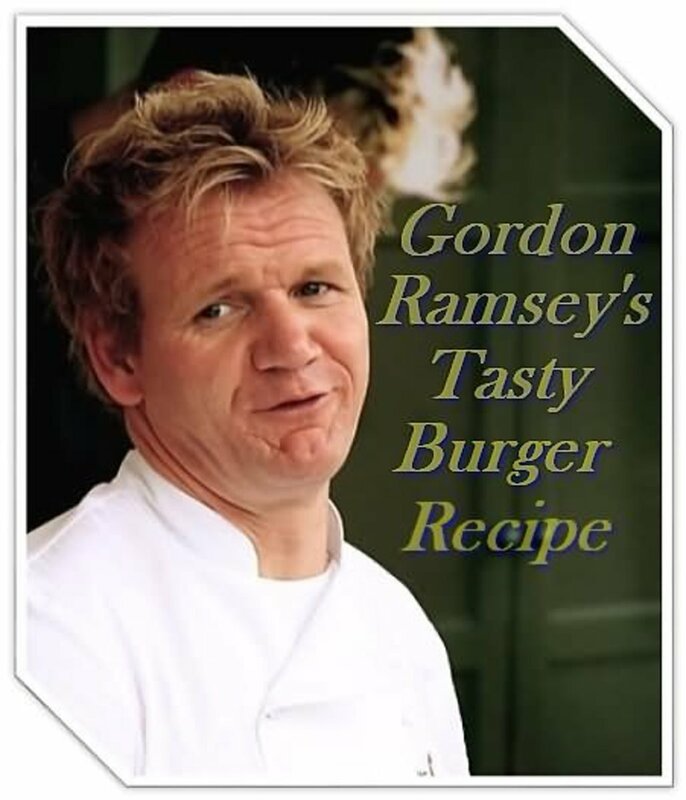 Hope you and your daughter have a chance to try out the recipe. Fabulous recipe. Great background info -- very nice. Thanks for sharing. I'm sending this recipe on to my daughter -- like another one of yours that I sent. Hiya Katiem, always glad when you drop in for a visit. Let me know how you like the Goulash. MickaOz, glad you liked it. Thanks for reading and for commenting. Hope you get a chance to try the Chicken Paprikas too. Wow sounds yummy! I just got a slowcooker so I'm heading to the markets on the weekend to try this dish. Last year when I was in Budapest I had some great food. 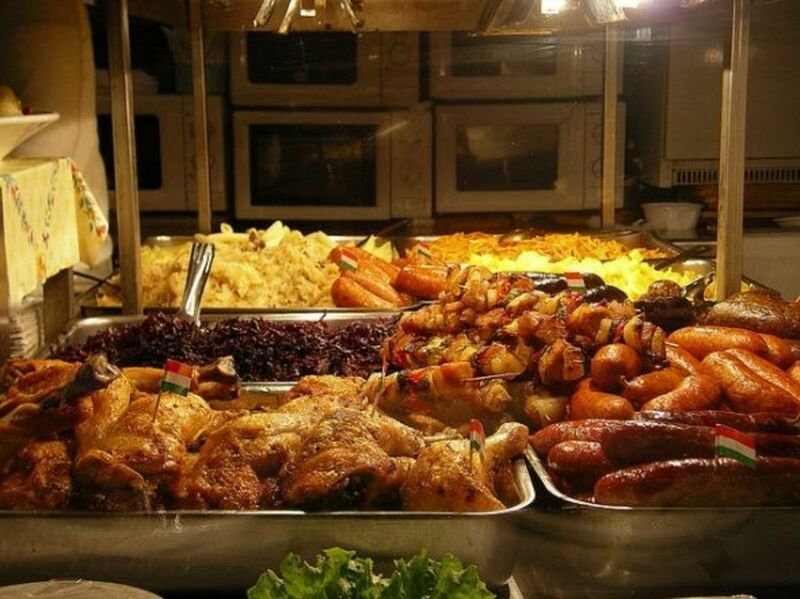 I got "traditional" hungarian dinner cooked for me one night but can't remember what it was called. It was served with short pasta and the sauce was orangish (kinda like butter chicken). It easily served 15 people. Any ideas? It was really tasty. Thanks for this! seashore456, Glad you dropped by. The sign that fall is here is usually marked by the first big pot of Hungarian Goulash, which will be this coming weekend when my children and their families are going to come over. When you have a moment check out my hub about my experience with Chicken Paprikash. 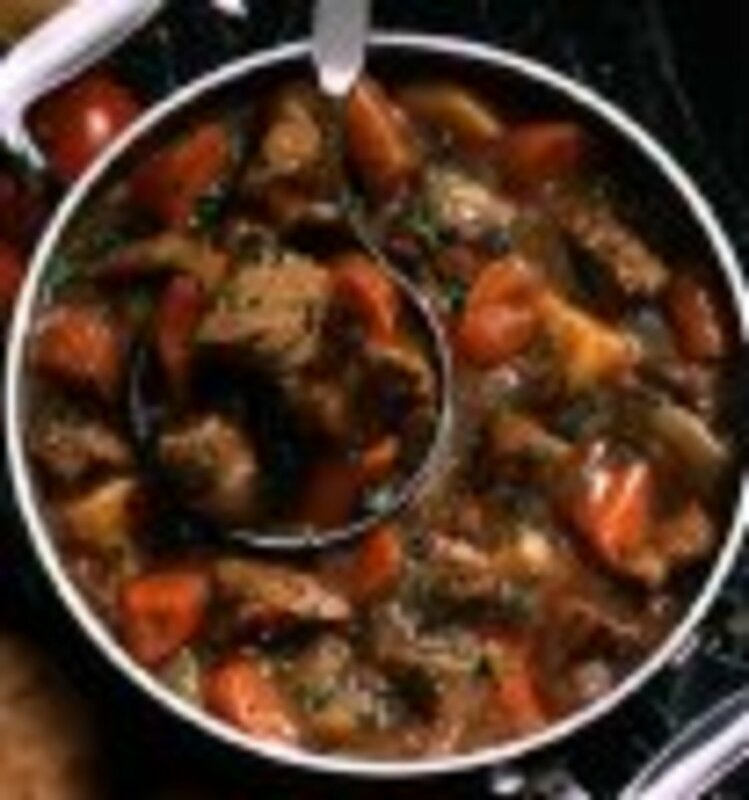 Hi Zsuzy love your Hungarian Goulash recipe, will give it a try. I also have a Hungarian background and I love my dads Hungarian Chicken Paprikash. Best ever Goulash I have ever had is in Budapest. Great Hub by the way! Andy so glad you like the recipe. Thank you for taking a look and for commenting. Made it today and just finished my first bowl. Reminded me of my time in Budapest a couple of years ago. A Greek who's just learning to cook??? You're kidding right? You'll find it easy I'm sure. I learned how to make the worlds best eggplant moussaka from Nikki, my first friend here in Canada (who came at the same time as we did from Greece). She and her husband now own one of the best Greek restaurants in Toronto. Cornish Paties I will have to take a look. Claudia I'm so glad the hub brought back some good memories. Thanks for coming for a visit and for commenting. RGraf! I used to nag my Grandma to tell me this story till she was so sick of it. I recently told it to my granddaughters for the first time and they loved it too. I just made a large pot of the Goulash last week again and it really is a nice feel homey recipe. This sounds great. The story behind makes it sound better. I'm already imagining making it and telling the kids the story behind it. Solarshingles! Thanks for coming by. Glad you like Hungarian goulash. I can recall the smell/taste of any great dish I'd ever tasted, at once, and the goulash is one of them. Marisue! Glad you came by. Thanks for your comment. Another wonderful story Zsuzsy! Your tales of life in the &quot;old&quot; country are both inspiring and entertaining. I just happen to have a large tin of Szeged in the kitchen, and I'm going to the butcher this afternoon. You can guess what we'll be having for supper this weekend. Angela! thanks for taking a look Let me know what you think. I love homemade soups and stews. I'm going to try this soon. Thanks for giving us the privilege of sharing such a special recipe. 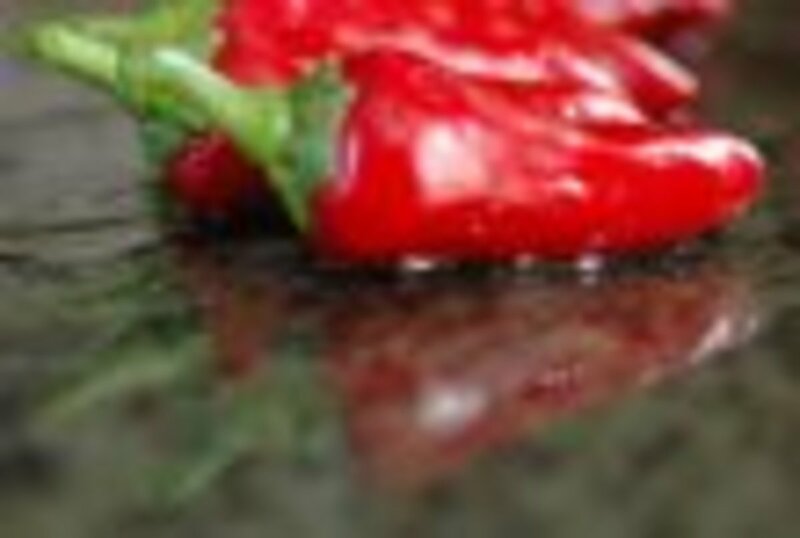 This peppery taste sounds just great for our taste and look forward to making it one of these days. Think I'll use the slow cooker method, thanks for the tip. I'm having to wrack my brains every day on what to make for dinner for an equally fussy family like your &quot;great&quot; and been innovating all the time. 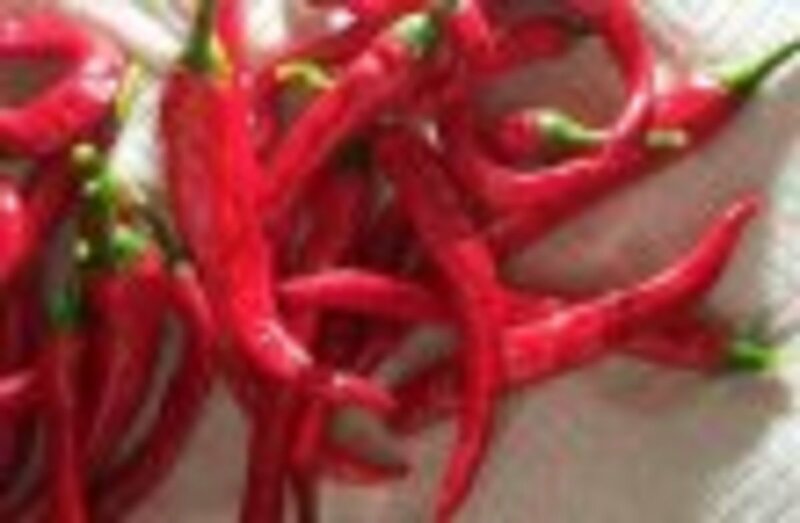 Our tastes are generally spicy and hot for lunch time meals and something milder for dinners and suppers. Zsuzsy I think I like to be your fan and share our little tips and tricks. I see that you are a person interested in crafts? Look forward to reading more of your hubs! Froggy! It even tastes better than it smelles...thanks for taking a look. Princessa! I'm glad you came by and thanks for the comments. Recipe sounds delicious! Poor Illonka, I hope she enjoys her legacy! I love goulash and knedliky! Oh yes we do eat Tofu.Thanks Zsuzby.It is wonderful to know how you improvise things so easily.Great going on food recipes! Hungarian Goulash ZB?I am hungry.Pass me the dish please.....Can you suggest some veggies instead of beef? You are great cook. Yummm! I love this dish and the presentation here is great. Isn't the best part using the bread to soak up the gravy left swimming on the plate? Yes please let me know what you think after you've tried it. I've never had this, will have to cook some for the family! Cool! Do you have more recipes like that? I've been trying to think of new things to prepare. One just gets tired of the same old routines eh? 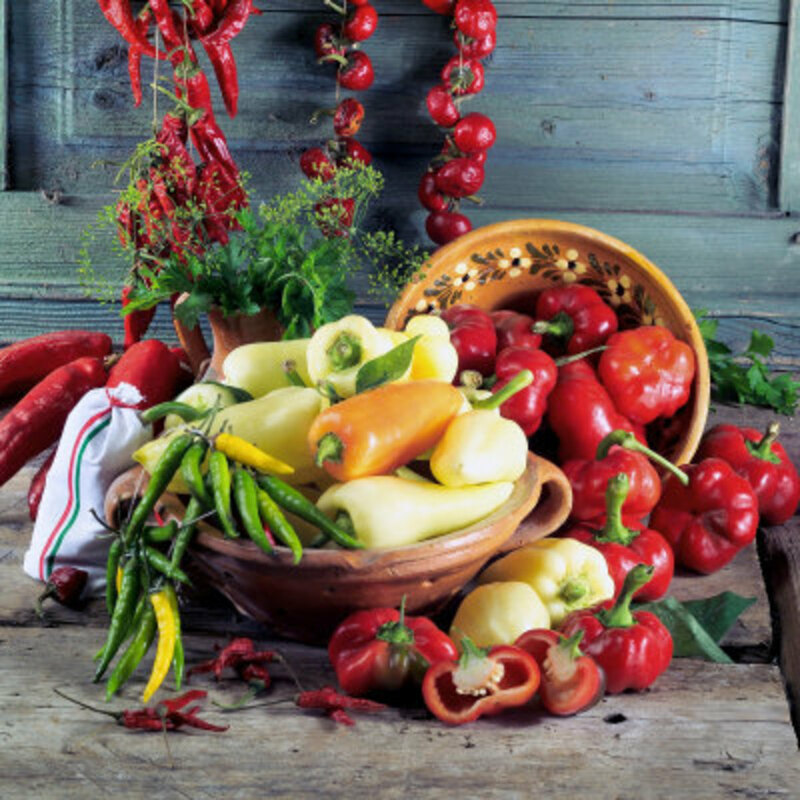 Paprika is one of the key flavors in a lot of Hungarian cooking. Thanks for having a look. Barbara let me know what you think. 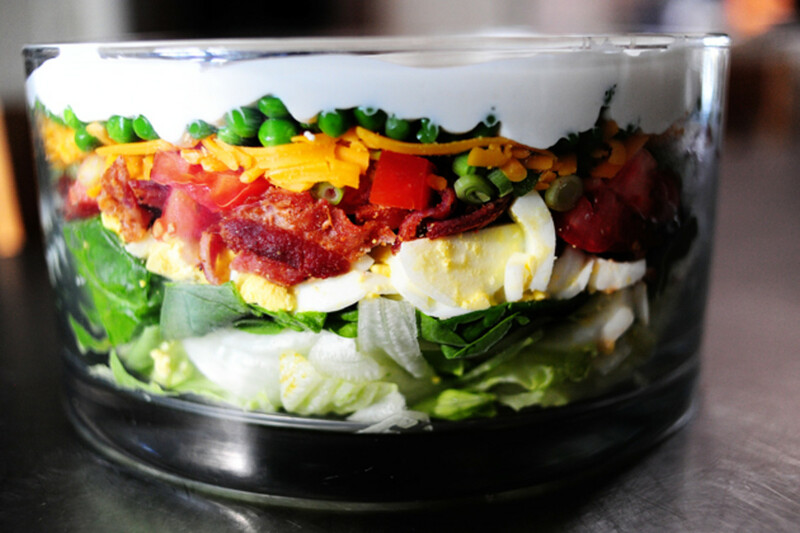 I know what I'm making for supper tomorrow! Yummers. Thanks Zsusy Bee! Thanks Patty for taking a look. 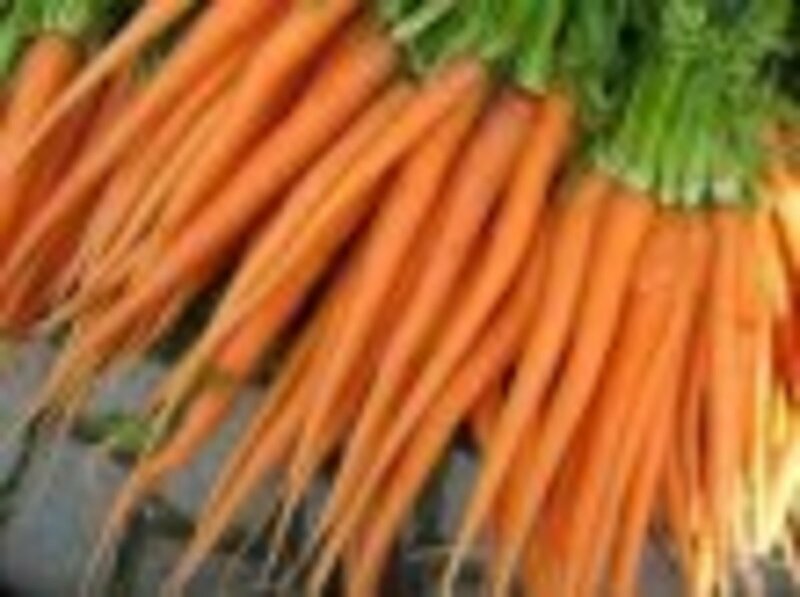 Nice recipe and good story!